Imagine sliding into almost 2,000 balls! 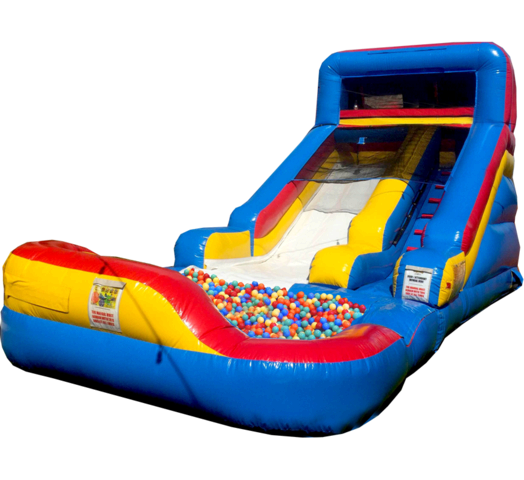 The Slide'n Play with Ball Pit is perfect for backyard parties. The slide is 7 feet high, the ball pit is 7 feet in length, 8 feet in width and 1 foot deep.